This week is NAIDOC week - an annual event held around the country each July, to celebrate the history, culture and achievements of Aboriginal and Torres Strait Islander Peoples. Running from 3 to 10 July in 2016, this year’s theme revolves around Songlines - intricate maps of land, sea and country that describe travel and trade routes, the location of waterholes and the presence of food. They can vary in length from a few kilometres to hundreds of kilometres, crossing through traditional Country of many Aboriginal and Torres Strait Islander language groups. In addition to working with Aboriginal and Torres Strait Islander Peoples through a range of projects and programmes, the St Vincent de Paul Society National Council is also engaged in advocacy campaigns in solidarity the social justice struggles of our First Nations sisters and brothers. The St Vincent de Paul Society was, for example, proud to support the recent Redfern Statement, calling for a complete overhaul of Indigenous strategy, engagement and funding. Our National Indigenous Immersion Program celebrates its 16th anniversary in 2016, and is one example of the strong relationships that can be forged between Vinnies and Indigenous communities. The annual two-week long program takes place in the Indigenous community of Nganmarriyanga (Palumpa), in the far north-west of the Northern Territory. 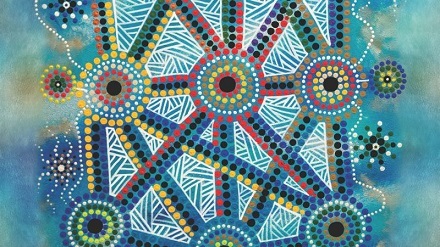 NAIDOC week events are held around the country and often involve music performances, art showcases, cultural workshops, talks and activities for children. Visit www.recognise.org.au for more information about the campaign for recognition of Aboriginal and Torres Strait Islander peoples in the Constitution. Read more about Vinnies programs and advocacy campaigns that are specific to Aboriginal and Torres Strait Islander peoples.